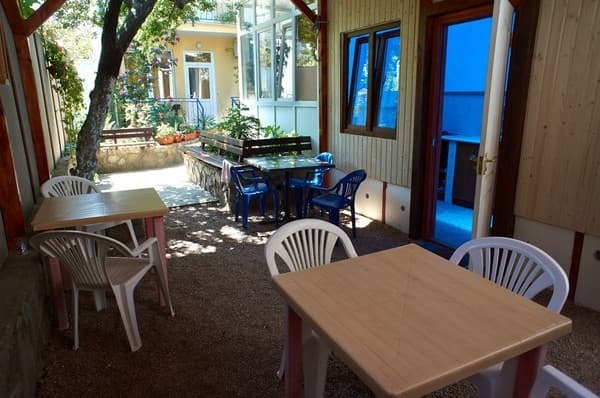 Guest house "Ludmila" is a private house in the central part of Alushta, located in a green, quiet zone of the city, 15 minutes walk from the sea and 150 meters from the bus station. Near the hotel there is a market where you can always buy fresh vegetables and fruits. 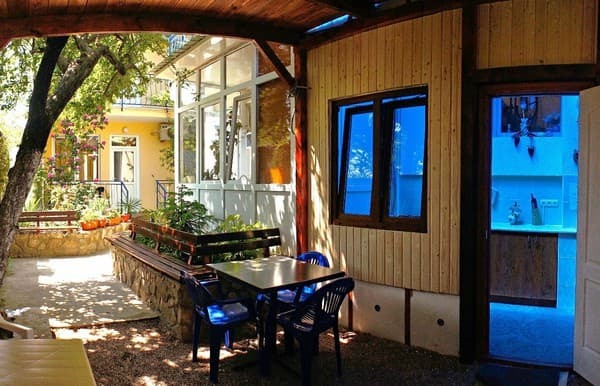 Guest house "Ludmila" is hidden from prying eyes and city bustle. 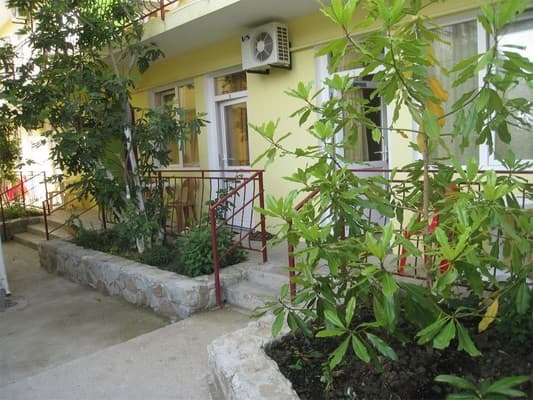 The hotel has 8 double rooms with an area of ​​17 square meters. m. The rooms are spacious, bright, cozy, equipped with modern furniture and appliances, Wi-Fi. Each room has a bathroom. The rooms are suitable for families with children - in every room except for a comfortable double bed there is a sofa bed. 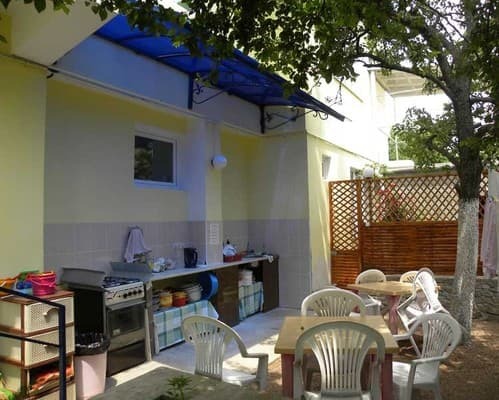 In the courtyard of the house under the canopy of trees it is possible to spend an evening pleasantly, to cook a shish kebab on the grill. There is a kitchenette for self-catering. Description of the room: This room measures 17 sq.m. In the room: double bed, sofa bed, dining room and tea utensils, the number of towels - 2 per person. The room can accommodate from 2 to 4 people. Children under 3 years with parents live free of charge (not more than 1 child). The cost of extra space is 80 UAH. 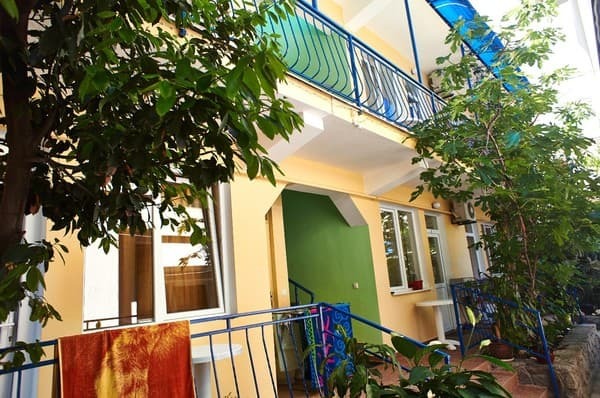 Guest house "Lyudmila" is located in the private sector of Alushta on Sadovaya street 6. From the hotel to the sea - 15 minutes walk. From Simferopol to Alushta: trolleybus No. 51, No. 52, by car. From the central bus station along Pervomayskaya street, the first turn to the left - to Sadovaya street.